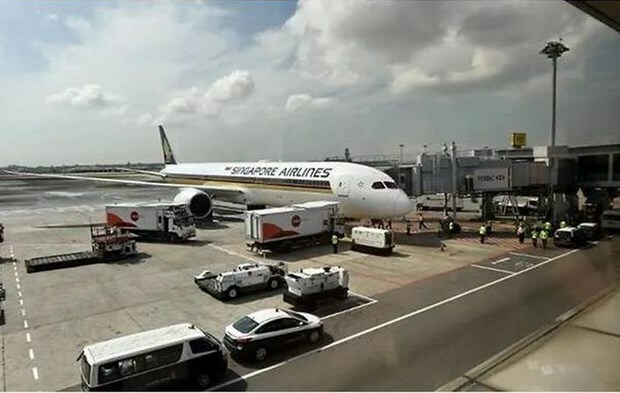 Hanoi (VNA) – Singapore Airlines announced on April 2 that it has grounded two of its Boeing 787-10 Dreamliner aircraft after discovering a defect during inspection. In its latest statement, the carrier said the decision was made after the deterioration of some engine blades had been detected. The planes were grounded pending the replacement of the engines. Some flights to destinations served by the 787-10 fleet have been affected, it said. The city-state’s flag carrier was the launch customer for the model, which has a maximum capacity of 339 passengers. It has nine 787-10 aircraft in its fleet and started operating them last year. Boeing’s 737 MAX planes were grounded globally last month following two deadly crashes that occurred in the past six months. Scrutiny has centred on an anti-stall system developed specifically for the planes.